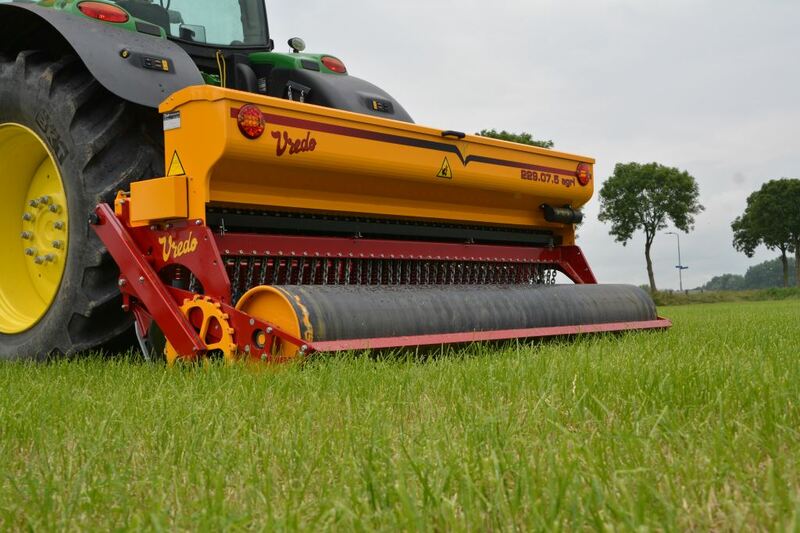 The newly revamped Vredo overseeder range will also be on display at stand 619. The improvements begin with the lid and rear of the seed hopper, which now both have sleeker round shapes. The curved edges encourage the funnelling of seed towards the cam wheel, providing even greater accuracy through a more reliable seed flow. Lid chains have been replaced by cleverly placed gas springs, allowing the lid to close simply and smoothly, making the machine safer when filling the hopper, whilst LED lights have been added and a new look stripe. Functionality has also been a priority in the upgrading process, with the option of a seed grill to protect the agitator shaft, whilst serving as a sieve to protect the seed from straw and any other small debris. The transformation isn’t limited to exterior functionality. The gear box, which is also used to set the seed dosing rate, has a new spindle adjustment, making the calibration of the seeder much easier, whilst improving on the already impressive accuracy. Vredo leads the field with the new VT4556 slurry Trac, recent improvements makes it one of the most intuitive machines on the market. Every aspect of the Trac has been analysed and improved upon, starting with the engine. The machine now boasts significantly more power and a lower fuel consumption thanks to the new Scania 12 litre, 6-cylinder engine. The 450hp engine provides 14 per cent more torque at 18 per cent lower rpm than the previous model, whilst the addition of a new Danfoss electronic controlled drive hydraulic system as well as cruise control and load sensing distribution is further optimised by placing the cab and fuel tanks further towards the front. 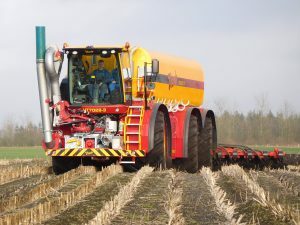 This means with an empty or full slurry tank – with the slurry injector in lift – the weight distribution on the front and rear axles is exactly 50-50. 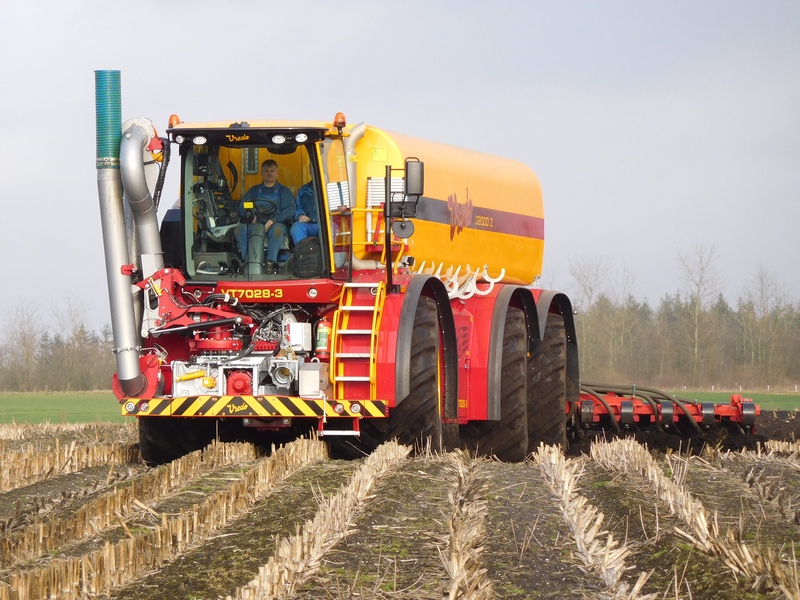 Vredo has also introduced NIR sensor technology on the slurry system. During loading or spreading of slurry N, P and K can be analysed on the go. This allows the dosage to be adapted, meaning the correct amount of nutrients are always being applied. The dosage is registered using a GPS-system with a SD-memory card.